Your mind is made up; you have decided to become a pilot. Congratulations, the industry needs you. The next thing you need to think of, even before deciding on a flight training school, is what kind of pilot do you want to be. It is a question that goes deeper than choosing between fixed-wing airplanes or helicopters, although that is also an important consideration. There are many exciting career options for licenced pilots in Canada outside of the high profile flying for a national or regional airline. Ultra-low cost carriers (ULCC) have the potential to be a high-growth sector for Canadian air transport over the next five years. Students need to first determine what their final career position will be. Transport Canada estimates there are more than 800 “on-demand” aviation service providers such as charter operators, law enforcement and emergency medical services, and helicopters supporting Canada’s resource industry and engaged in fire suppression. This is a less predictable career than scheduled flying, and often involves being able to fly on short notice. 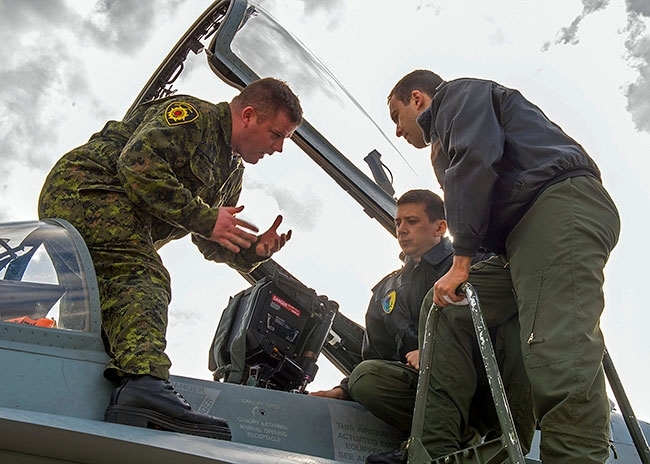 And, of course, there’s also the military option with the Royal Canadian Air Force (RCAF). While your passion may lean toward piloting the larger commercial jets, Canada’s thriving corporate aviation sector should not be overlooked. Modern corporate jets are every bit as sophisticated as today’s airlines, and the requirement to fly these airplanes is often equivalent and sometimes greater than what is required in the airline business. Corporate aviation is largely “on demand” flying, although there is stability in the flight departments of some companies, especially in the resource sector, which can operate like a regional airline. The corporate sector may also offer greater diversity, with pilots jumping from intercontinental to remote flying. With approximately 1,700 registered rotary-wing aircraft, Canada has the second largest fleet of helicopters in the world. The backbone of the sector remains resource-based, although opportunities in the executive sector are available around major urban centres. Helicopter flying can be more physically intense, especially for pilot flying out of camps in the Canadian north. Still, helicopter pilots are less likely to swap the “hands-on” flying for a fixed-wing airplane. In all cases, aviation is a “pay your dues” industry with a large gap between the 100- to 200-hours accumulated during flight training, and the 1,000 to 1,500 hours needed to become a commercial helicopter pilot or to earn an Airline Transport Pilot Licence. Most graduates build up time with entry-level positions such as flight instructor, air taxi operator or general aviation pilot. This route is something else to consider when picking a flight school. Learning to fly is expensive, so matching a flight school to a potential career as a professional pilot will help reduce the margin for error of starting out on the wrong foot, and may even lower the cost of training overall. This is because Canada’s aviation industry is so diverse, with so many varying job opportunities in both airplanes and helicopters. Canada also has many excellent flying schools and colleges, many of which specialize in specific types of flying. Floatplanes versus a private jet, or turbine-powered rather than piston-driven helicopters, are two extreme examples. If you have little or no aviation experience, selecting a flying school can be overwhelming and is best not done on impulse, Transport Canada cautions. Canada’s aviation regulator does not rank flight schools or flying colleges, but there are specific steps a student should take to make the right determination. Start by plotting out a career path, which is not to say there can’t be a detour or two along the way. A switch from airplanes to helicopters, is one example. Industry professionals tend to agree, that when picking the right flight school or graduating up to a flight college, be prepared to ask a lot of questions. Many factors should go into determining a flight school and program, including location of the school and condition of the facilities, accessibility of the instructors, the number and types of training aircraft available and the quality of maintenance. An unwritten industry rule is one training aircraft for every four or five full-time students, although that ratio changes with part-timers. These airplanes clock a lot of hours and are often put through tough paces. Maintenance is an important consideration for both safety and scheduling, and who is on the hook financially if maintenance problems (or weather) cancel a flying lesson. Flight school is divided between hands-on airplane training and ground school, where students learn such things as the principles of flight, pilot decision-making, navigation, etc. It might not be the sexiest part of learning to fly, but it is essential and a school’s approach to ground school should not be overlooked. Nor should other operational issues such as does the school offer progressive flight checks to monitor a student’s progress, how are flight lessons scheduled, what is the insurance coverage of a student pilot (how does the deductible work in case of an accident) and who is responsible for keeping a student’s flight records? Remember, detailed records are a passport to that first job. Cost will always be a determining factor in picking a flight school. Schools in Canada are cost competitive, but the final bill will depend on what you want to get out of your training. And don’t forget to factor in transport, accommodation and meals when assessing the cost of learning how to fly. Once a flight school has been selected, it is up to the student to make secure a written agreement outlining all costs and payment procedures. At the very least, picking the right school will help students build up the necessary hours while sticking to a budget. For example, airplanes rent by the hour. Learning to fly in uncontrolled airspace will reduce the amount of time spent on the ground taxiing or idling for takeoff. But students who want to fly for an airline also need to build up the experience of slotting in and out of a controlled airport. Likewise, pre-paying for lessons in “block-time” can reduce costs, but students should be wary of flight schools that insist on covering the cost of the full course upfront. Most schools are “pay as you go” and some offer financing or have links to financial institutions that offer loans for flight training.